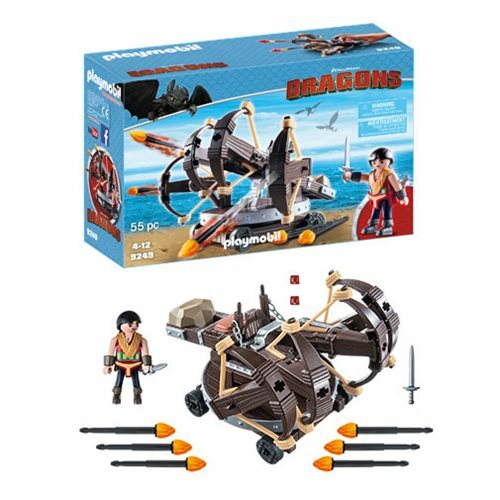 Prepare for battle with this How to Train Your Dragon Eret with Fire Ballista Playset! Eret is a fierce enemy to behold with his Ballista equipped with four crossbows. This set also includes Viking accessories. Ages 4 and up.